Guizhou is one of China’s most ethnically diverse province. 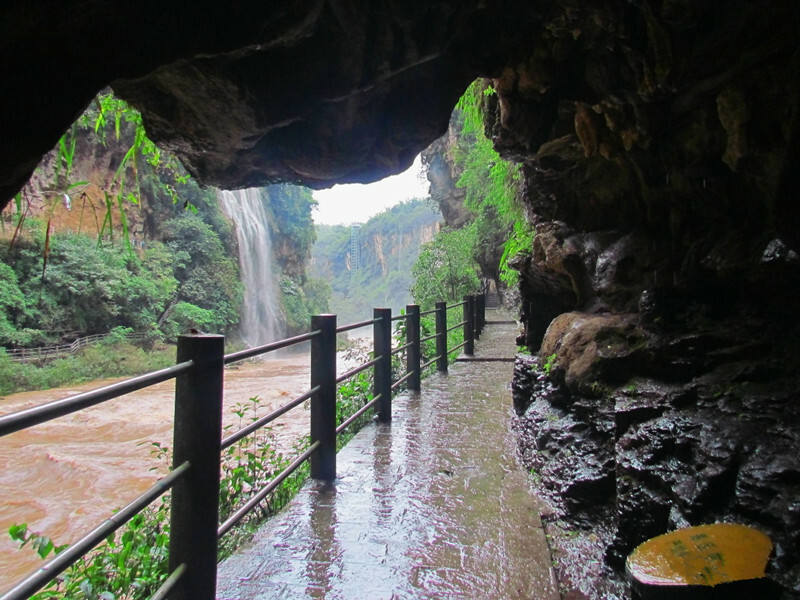 This tour will take you explore the beauty of Guizhou, such as the great Huangguoshu waterfall in Anshun, Miao Village in Xijiang, Nation Culture Museum in Kali, Seven Small And Big Arches in Libo and Xiasi Ancient Town. Experience the unique culture of different groups of the Miao minority in Xijiang and Kaili. Feel the historic changes of Xiasi ancient town. 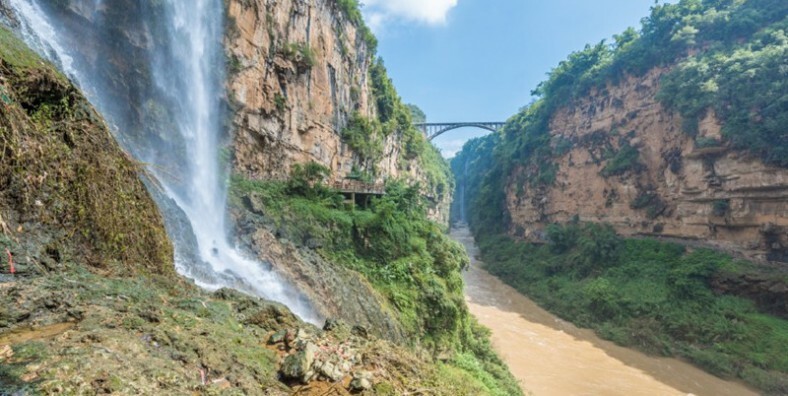 Have the breakfast at hotel, then drive about 2.5 hours to the world famous Huangguoshu Waterfall, which is one of the largest waterfall in China and East Asia located on the Baishui River in Anshun. The main waterfall is 67 m high and 83.3 m wide and a 134 m long curtain cave lies secretly behind the main fall. We will take two hours to appreciate it. After lunch, we are going to visit Tianxingqiao Scenic Spot for about an hour. It is featured various odd limestone formations,caves, lakes, and ‘ Heavenly Star Bridge’. Visit Steeps Waterfalls for an hour. 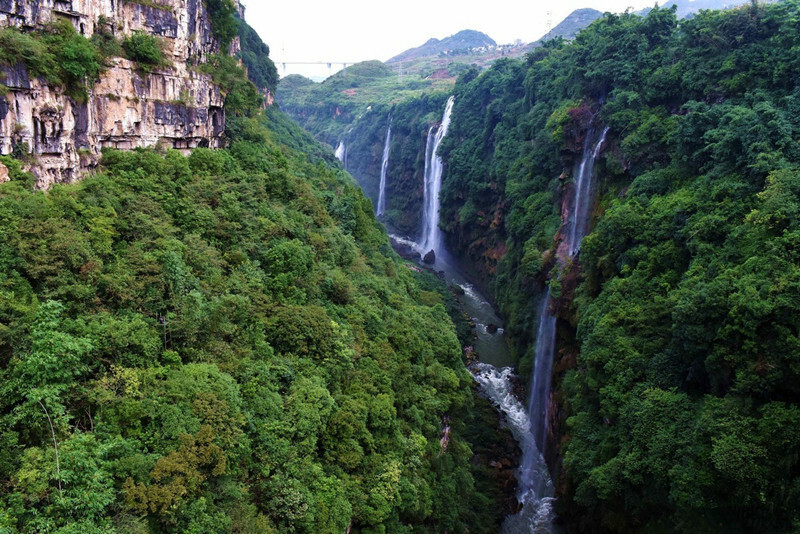 After that, if we have more time, visit Time Guizhou. Then we are check in hotel in Qinzhen. Have breakfast at hotel, we will drive about 4.5 hours to visit Seven Big Arches for about 40 minutes. After that we going to visit Seven Small Arches for about 3 hours. Ancient Bridge of Seven Small Arches, is located at the head of the east entrance of the scenic spot. This bridge was built during the rule of Emperor Daoguang in the Qing Dynasty. 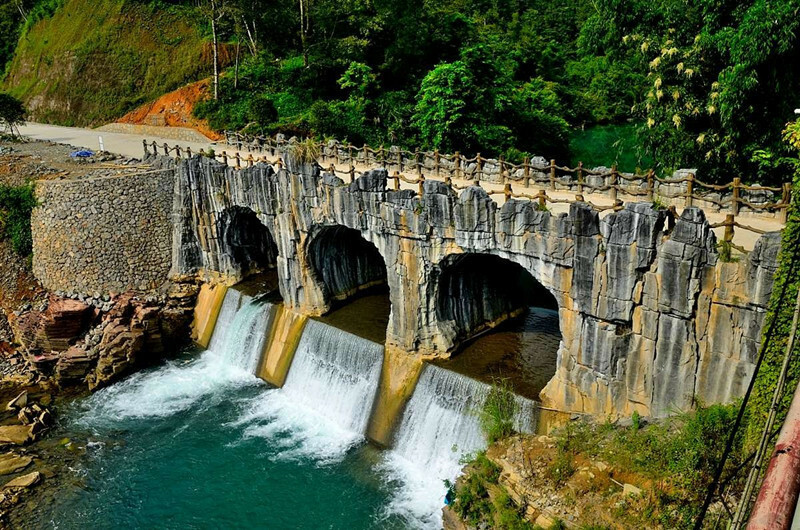 At that time, it was used as an important bridge between Libo and Guangxi Province. If you see it, you can’t say a thing how beautiful is it. After the visit, we are going to have some Guizhou foods. Then check in hotel. Today, you will get your first close up of one of the ethnic minorities of Guizhou -the Miao people. The day is spent on getting to know them by visiting their unique villages. Have breakfast at hotel, then drive to the Kaili National Cultural Museum, where we will see some kinds of minority nations’ clothes, customs, crafts, festivals and so on. We will also know the history about their life. Then we are going to the Xijiang Miao Village which is located on the northeast side of Leishan County. Being the largest gathering place of the Miao Minority in China and even the world, there are about ten natural Miao ethnic villages existing in Xijiang Town and the Miao culture is best preserved in this area. There are about 1,288 families with a total population of around 6,000 people living there. After breakfast at hotel, we will drive about 40 minutes to visit Miao Intangible Cultural Heritage Museum. Then we are going to see Xiasi Ancient Town which is just 15 minutes from the museum to the town. Known as “small Shanghai”, this town has got its laudatory name – a “Pearl on the Qingshui River”. It is the hometown of red garlic in China, the hometown of zinc and selenium rice, the hometown of the world famous dogs and dogs, and the best kayaking rapids base in Asia. This town has so many beautiful names. After the visit, it is time to say goodbye. We will drive you to Guiyang for your flight or train. Service ends.